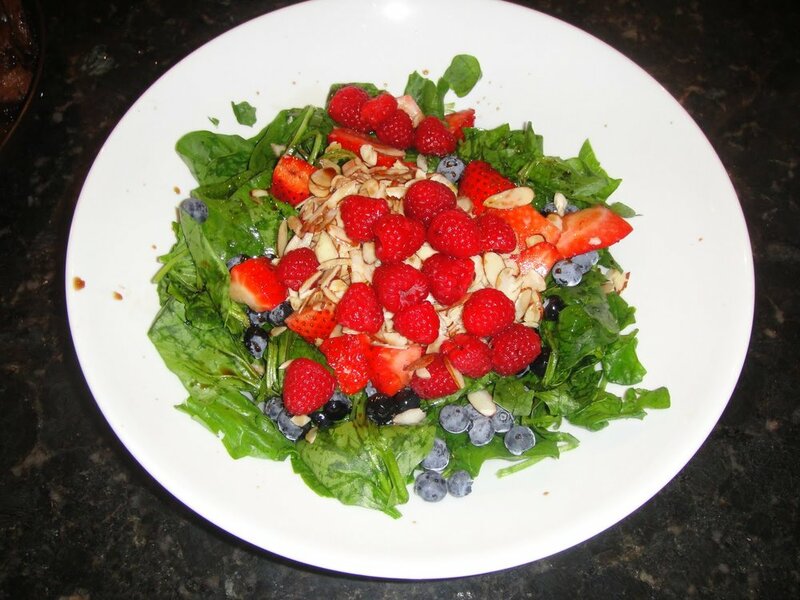 Here is a recipe for a quick and delicious salad. This is a great way to get your fruits and vegetables into your diet. I have even brought it to pool parties to ensure I have something healthy to eat, and everyone loves it! 1. Wash the spinach really well and put it in the salad bowl 2. Slice the strawberries into small chunks. Put them in the bowl 3. Add the blueberries, raspberries, and almonds 4. Sprinkle on oil and vinegar to taste 5. Toss and Serve!